Your roof endures the constant brunt of harsh weather, which is why keeping it in good condition is imperative. 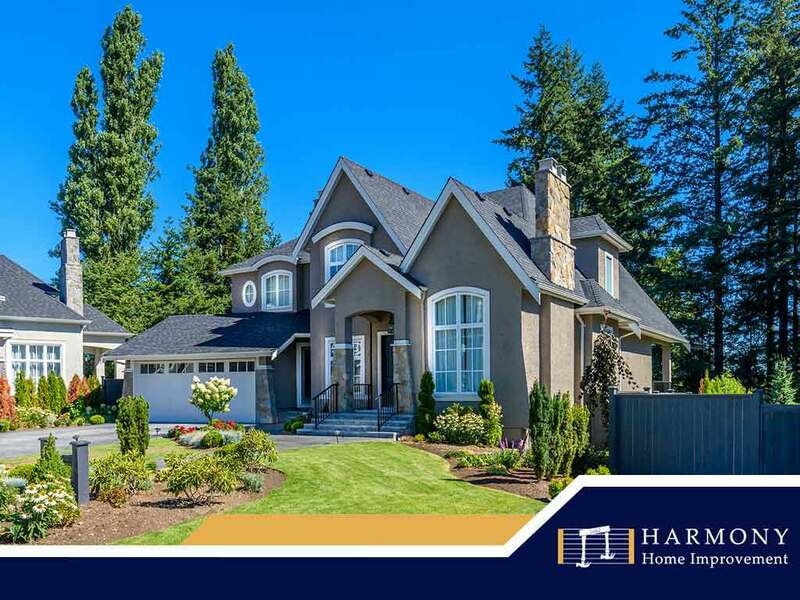 As one of the top home improvement contractors in the area, Harmony Home Improvement recommends scheduling roof inspections and maintenance regularly. In doing so, you prevent minor issues from becoming larger, more expensive ones. You also extend your roof’s service life. Certain components in your roof require consistent and constant inspection. These include the flashings and joints, where leaks often occur. You can use a pair of binoculars to check them from the ground level. Take note of cracks and gaps on the roof surface as well as loose flashings and broken vent boots. Reach out to our professional roofers right away as soon as you find one to avoid leaks later on. Overhanging branches can put your roof closer to further damage. During strong winds, they may scrape the surface of the asphalt shingles, resulting in the loss of their protective granules. Swaying branches may also break away from the tree and hit your roof, causing cracks that then expose the roofing system to moisture. Trim your trees’ branches when they reach the roof. Providers of residential roofing services recommend branches must be at least 10 feet away from your home. Your attic must be well-ventilated and insulated to ensure your roof’s protection and your home’s energy efficiency. Enough insulation keeps your interior well within acceptable levels of comfort. Proper ventilation keeps the whole system “breathing,” with constant air flow to avoid damage from heat build-up. For more thorough roof inspections, turn to Harmony Home Improvement. Our roofing pros evaluate all aspects of your roof and identify any area that needs repair or replacement. Apart from roofing services, we also work on exterior vinyl siding, windows, doors and deck installations. Call (860) 516-9103 to get started. You may also fill out our contact form to request a free estimate. We serve Hartford, CT residents.